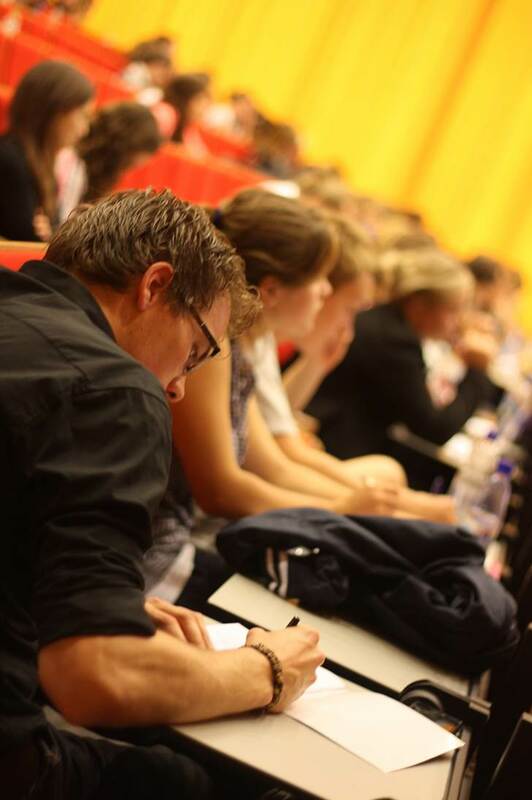 The Master’s programme in Science and Business Management (SBM) at Utrecht University aims to prepare science students for a career in a business environment. SBM students are educated to understand both the science and business worlds. Industry needs professionals that are able to manage the development and marketing of innovative products and processes. Such professionals understand the underlying scientific principles and have experience with the scientific discovery process. Also in academic research professionals are needed with a sound basis in science but knowledge on how to turn interesting ideas into products in a business environment. Within this two year Master’s programme the focus shifts from performing scientific research towards acquiring a range of business skills important for a career in industry or commercial organizations. SBM students start with a research project in a research group of the Graduate Schools Life Sciences or Natural Sciences, or an associated research institute elsewhere. The research project consists of a minimum of 42 credits with a maximum of 14 credits for extra theoretical courses, depending on the student's skills and preferences. SBM students work on research topics with potential for application and students are required to present and write a summary about the applications of the research that is performed. The first year is finalized by writing an executive summary on the applications of the research combined with in an interview with a relevant industrial representative about these applications. The summaries are peer-reviewed by other students, which is valuable since SBM students hold BSc’s in different scientific disciplines. The second year starts with an intensive half year (33 credits) of business courses: economic environment, management skills, organisation, marketing, quantitative methods for business, management accounting, human resources, business law, entrepreneurship and several workshops. These business skills prepare SBM students for their business internship at a company or commercial organization (27 credits). For more information on the Science and Business Management Master’s programme, visit our website.